After 18 years of monumental growth under his leadership, Walsh University President Richard Jusseaume has officially announced his retirement. Jusseaume will stay on as Walsh’s leader through the end of this fiscal year (June 30, 2019) and, to ensure a smooth transition for the new president, will remain in a consultant position for the final year of his contract. A national search to procure Walsh’s new president will commence immediately. 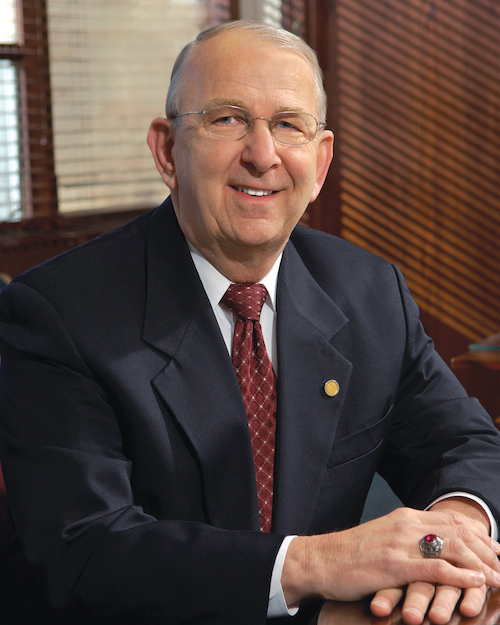 As Ohio’s second longest-serving president of a four-year private university, Richard Jusseaume became the sixth president of Walsh University in 2001. Under his guidance, Walsh has experienced phenomenal growth in almost every facet of its operations including enrollment, academic programming, faculty and staff, financial resources and physical facilities. In total, he has spent five decades at Walsh in various roles including student, Dean of Students, Board of Directors member, and ultimately as President. He began his career as an educator for 17 years before transitioning into corporate leadership at Graphic Enterprises Inc. He led Graphic Enterprises for another 17 years before returning to Walsh where he has just completed his 17th contract year as President. A man of deep Catholic faith with an acute business sense, his knowledge and understanding of Walsh’s mission was built upon a lifelong personal relationship with the University’s founders, the Brothers of Christian Instruction. Educated by the Brothers from the age of 11, Walsh graduate class of 1967, a student Brother of Christian Instruction, two-time Dean of Students, and a member of the Board of Directors, President Jusseaume had been a part of Walsh’s history and mission almost from the school’s founding in 1960. His commitment to provide an authentic Catholic education while strengthening Walsh’s mission of developing leaders in service to others has resulted in an era of unprecedented growth at Walsh University. During his tenure, full-time undergraduate enrollment has increased by more than 60 percent, while academically the University has more than doubled its number of undergraduate majors and launched its first doctorate programs in Physical Therapy (2007) and Nursing Practice (2011). Propelled by his leadership, the University successfully completed two capital campaigns, the first raising $23.4 million in 2001 and, the most recent, the five-year We Believe Campaign for Walsh University in 2017, which exceeded all goals and surpassed $34 million. During his presidential tenure, the University’s endowment has grown from $2 million to more than $27 million and the University has marked 18 consecutive balanced budgets. Under his leadership, more than $57 million has been raised and contributions to the annual Walsh Fund have grown from $257,944 to a record amount of nearly $1.1 million in 2018. The number of buildings on Walsh’s North Canton campus has more than doubled from 11 to 27 buildings on 136 park-like acres, with 10 residence halls (six built in the past 18 years), state-of-the-art athletic facilities and new academic buildings equipped with the latest technology. Walsh also expanded internationally with a campus in Rome, Italy, an MAED program in Uganda and a robust Global Learning Program on four continents. President Richard Jusseaume and his wife Theresa (Frank) have had a vested interest and profound love for this Catholic university that has been a part of their lives, and family, for more than 40 years. Terie is a 1974 alumnus of Walsh and joined the staff in 2004 to lend her talents and energy to new campus initiatives involving Catholic outreach. By 2019, the Jusseaumes will have led seven student groups on pilgrimages to locations including Medjugorje, Lourdes, Paris and Rome. Additionally, they have encouraged the hosting of Catholic organizations on campus such as Catholics United for Faith, Magnificat and Opus Angelorum. Community events have included world renowned Catholic speakers such as EWTN’s Al Kresta, Immaculee Ilibagiza, Christopher West, Dana Scallon and Maryann Love. Together, they have five grown children and 13 grandchildren. In addition to his contributions at Walsh, President Jusseaume has generously given of his time by serving on numerous community and volunteer boards throughout Stark County. In 2005, he was honored as the “Community Leader of the Year” from the North Canton Chamber of Commerce. In 2009, he was named a “Stark County Mover & Shaker” by About Magazine’s Advisory Board. View a timeline of accomplishments and milestones during President Jusseaume's presidency here. “Walsh University has had the good fortune to have benefitted from the strong leadership of President Jusseaume for nearly two decades. His business background has provided him with unique qualities and insights, enabling him to steadily and thoughtfully guide the growth of all facets of the operations of the University. Having been educated by the Brothers of Christian Instruction from a young age, President Jusseaume has been deeply committed to preserving their legacy and to advancing the mission of the University. 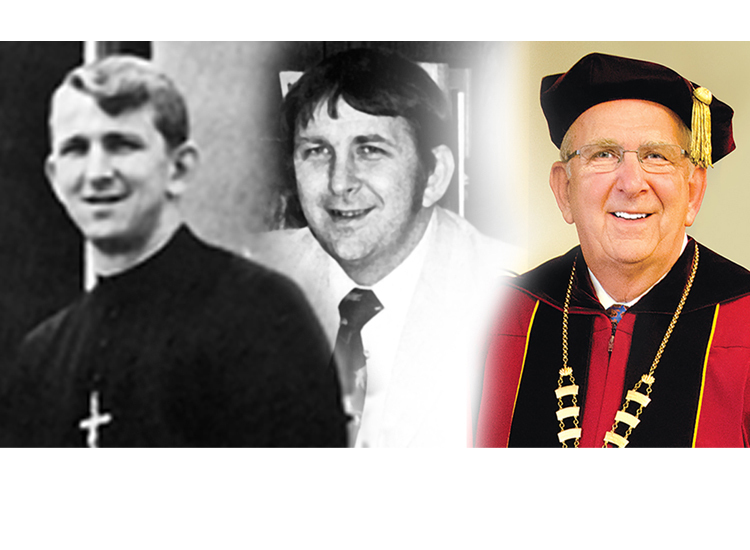 His love for Walsh University inspired others to embrace its values and contribute to its success. The Walsh Community owes President Jusseaume a debt of gratitude for the indelible mark his legacy will leave on this University.